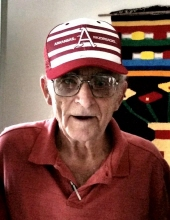 Hastings resident Joe Vacek, 84, passed away Thursday, January 31, 2019, at Mary Lanning HealthCare in Hastings, Nebraska. Memorial service is 2:00 pm, Sunday, February 3, 2019, at All Saints Chapel in Good Samaritan Village in Hastings, Nebraska. In honoring his wish to be cremated there is no viewing or visitation. DeWitt Funeral Home and Cremation Service is handling arrangements. Joe was born December 7, 1934, in Ravenna, Nebraska, the son of Joseph W. and Velma (Struble) Vacek. He graduated from St. Cecilia High School with the class of 1952. He worked for the Hastings Post Office. He married Judy Young in 1972. He was the owner and operator of the Golf Place in Hastings, Nebraska. He enjoyed bowling, golfing, and most any sporting activity. Joe is survived by his children, Tom (Roxanne) Vacek of Brownville, NE, Valerie Aspen of Lowell, AR, Mark (Rene) Vacek of Hastings, NE, Mary (Tony) Wright of Springdale, AR, John Vacek of Hastings, NE, and Cathy (David) Eastman of Aurora, NE; eleven grandchildren; twenty one great-grandchildren; one great-great-granddaughter; sister, Velma Verjean (Freddie) Ruth of Lititz, PA; along with one niece and two nephews. He was preceded in death by his parents; wife, Judy; son, James; and grandson, Michael. To send flowers or a remembrance gift to the family of Joe Vacek, please visit our Tribute Store. "Email Address" would like to share the life celebration of Joe Vacek. Click on the "link" to go to share a favorite memory or leave a condolence message for the family.